The government has said its 2018 Ontario Budget, released March 29, supports thriving communities — a vision we certainly share. The budget offers overdue investment in many parts of the nonprofit sector – an acknowledgement, perhaps, of the sector’s role as a huge driver of our economy and pillar of society. The investment can also be interpreted as a sign that advocacy from within the sector on the issues that community cares about can pay off. But let’s not be satisfied with a piecemeal approach to funding the sector; now more than ever we need to work together to create sector-wide improvements in our relationship with the government to make us all stronger. Working together, we can convince the next government to work in partnership with us to create a fair, sustainable economy and more inclusive society. Major new investments in health and education: The Province announced the creation of the Ontario Drug and Dental Plan, beginning summer 2019, to provide dental and pharmacare coverage to families and seniors who currently do not have access to an extended health plan. The budget re-announced the provision of free prescription drugs to seniors aged 65 and up. Hospitals received a 4.6% increase ($822 million) in operating dollars and $19 billion over 10 years for building and renovations, in addition to targeted investments of $2.4 billion for SickKids and $162 million for the Ottawa Heart Institute. The budget gave a 4.4 per cent increase to public education, bringing the the total to $28.21 billion. On the capital side, the budget provided $3.01 billion for school infrastructure. Overall budget numbers: The province is coming out of 2017-18 with a $600 million surplus. For 2018-19, it will run a $6.7 billion deficit (1% of GDP) then plan on “modest” deficits until the next balanced budget in 2024-25. Total revenues are projected to grow from $152.5 billion in 2018−19 to $163.8 billion in 2020−21, based on an assumed average GDP growth of 1.9% through 2021. The debt-to-GDP ratio remains fairly steady, rising slightly from 37.1 per cent to 37.6 per cent in 2018-2019, with the ratio of debt-service costs to revenue stable at 8.2 per cent. Program spending is forecast to grow from $145.9 billion to $155.8 billion between 2018−19 and 2020−21. The budget notes that Ontario is expected to remain the province with the lowest program spending per capita in 2017–18. Personal income and corporate taxation: The government is proposing to simplify Ontario’s Personal Income Tax (PIT) by eliminating Ontario’s surtax and replacing it with new rates and brackets. This will result in a potential small tax increase for high-income earners ($200 a year). It also put limits on small business earnings from passive income.On the corporate tax side, the government simply re-announced its small business tax reduction that took effect in January 2018. Employer Health Tax changes for nonprofit employers: Some nonprofits currently pay the Employer Health Tax but may be eligible for an exemption as of Jan. 1, 2019, under new rulesdesigned to better target the EHT exemption. Gender equity for women workers: The budget confirmed the Province’s intention to introduce pay transparency legislation requiring workplaces with 250 or more employees to post the salary range for posted positions. The budget also increased funding to the Pay Equity Office by 25 per cent. Charitable Donations Tax Credit: For people who give to charity, the government is proposing to enhance the non-refundable Ontario Charitable Donations Tax Credit (OCDTC) rate to 17.5 per cent for all taxpayers for eligible donations exceeding $200 (this is likely offset by the change in personal income tax noted above). The first $200 of donations would continue to be eligible for an OCDTC rate of 5.05 per cent. 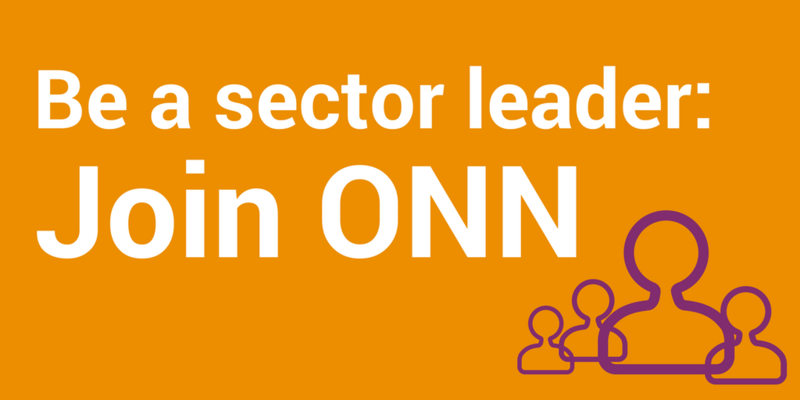 Labour market information (LMI): ONN asked for progress on collecting LMI and economic impact data on the nonprofit sector. The budget mentioned LMI but the Government remains focused on LMI as a career tool for students rather than a sector workforce planning tool. A regulatory framework for target-benefit multi-employer pension plans: We asked for a regulatory framework for non-union nonprofit workplaces to participate in target-benefit Multi-Employer Pension Plans— a framework in the works since 2015. The Province introduced a framework for unionized workplaces in 2017 but is still considering its options and plans to consult further this spring. Funding agreements that reflect the real cost of business: ONN asked the government to support ​decent​ ​work​ ​for​ ​people​ ​working​ ​in​ ​the nonprofit​ ​sector​ ​through​ ​modernized,​ ​stable​ ​funding​ ​agreements​ ​that​ ​reflect​ ​the​ ​real cost​ ​of​ ​business, including Bill 148 costs and routine inflationary increases. We were pleased to see some subsectors (developmental services, child care, mental health & addictions, and home care) receive some increases to their operating funding though more remains to be done to make this funding sustainable, stable, and adequate to meet evolving community needs. 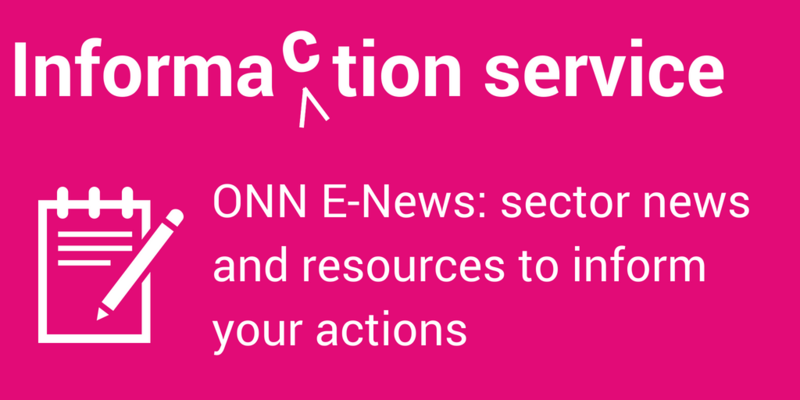 Delivering on the promise of community hubs via capital and operating funding: ONN asked for expanded access to capital funding and low-cost loans via the Infrastructure Ontario Loans Program so that all categories of nonprofit community hubs are eligible. We also asked for further progress on transfer payment modernization, namely the development of multi-Ministry, multi-program funding agreements for multi-funded nonprofits, and for surplus broader public sector lands to be made available on the existing Nonprofit Lands Registry— but no announcements were made on these proposals. The Province re-announced its Social Purpose Real Estate Strategy “to embed community needs in government decision-making on the sale, purchase and use of publicly owned properties and infrastructure planning.” We will also have to wait and see which needs are funded under the “Community, Culture and Recreation Stream” of Phase II of the “Investing in Canada Plan (through which the Province will work with municipalities and nonprofits to identify projects to “nominate” for federal funding). Following last year’s increase to Ontario Arts Council funding, there were no major arts announcements this year. The Province will, however, provide the City of Toronto with the authority to design and administer a new program to provide property tax reductions of up to 50 per cent to qualifying facilities (TBD by the City) that offer affordable spaces for the arts and culture sector. Child care and municipal property tax: Child care facilities are often housed in tax‐exempt spaces, such as public schools, places of worship, municipal town halls, or YMCAs. The Ontario Budget includes a proposed amendment to the Assessment Act to ensure that the presence of these child care facilities does not trigger a change to the tax-exempt status of these community properties that are otherwise tax-exempt. Women’s Centres: An increase (no amount given) to improve quality of service in areas: counselling, systems navigation and pre-employment training and to increase ability of centres to address the needs of communities. New training for teachers on identifying and assisting students with mental health challenges. $5.8 million over three years to Habitat for Humanity for a Build Factory in Burlington (based on Habitat’s Prefab Shop in Edmonton https://www.hfh.org/our-builds/prefab-shop/ ). At this facility, components for safe, decent and affordable homes will be assembled and transported to 120 Habitat for Humanity construction sites across Ontario. $650 million to boost the number of visits by caregivers to seniors’ homes. Personal support worker positions will grow by 5,500 through $23 million in funding, with an additional $38 million in funding for education and training for already practising personal support workers. $5 million over three years to implement Rowan’s Law on concussion prevention, management, and awareness in schools and amateur competitive sport. Social procurement/Community benefit agreements: Halfway through the Province’s Five-Year Social Enterprise Strategy, ONN was not necessarily expecting new investment in nonprofit social enterprise. We were, however, disappointed to see a loss of focus on the need for procurement from nonprofit social enterprises in the Ontario Budget’s commitment to community benefit agreements. The Province is launching five CBA pilot projects as part of its massive infrastructure investment plan. Reforming the government-nonprofit sector investment relationship: While ONN continues to work with Treasury Board Secretariat and other partners on transfer payment modernization, the bigger Vision 2020agreed upon by both sectors through the Joint Funding Reform Forum continues to languish. ONN would like to see accelerated progress on the shift toward an investment-oriented relationship following the next election. The government has committed significant new operating dollars to many areas of the nonprofit sector that will help to meet the needs of our growing population, such as child care, mental health and addiction services, home and community care, and services for people with developmental disabilities. At the same time, there is little recognition in the budget that the government sees the nonprofit sector as an economic sector that builds community wealth and keeps it circulating locally. Neither does the Province give any indication in this budget that its relationship with the sector is a true partnership in the co-design of policies and programs. While modest operating increases in certain subsectors are certainly welcome after years of flat-lined budgets, the significant capital investment needs of the sector remain unmet – at least until the roll-out of federal-provincial infrastructure funding. And, underlining all the new investments announced yesterday is the reality that Ontario Election 2018 could result in a new government which will set its own course. As much as anything, Ontario Budget 2018 should be read as an election budget that will need both a vote in the Legislature (as Bill 31) and a vote at the polls to be implemented.